Most people I talk to who are learning to code fall into one of two camps. The first are those who want a new career. They see the industry growing fast, while theirs may be stagnant or shrinking. They also see that IT jobs are among the highest paying. And it helps that a traditional four year degree to enter the IT workforce is not required. All that adds up to a very enticing career choice. The second group of interested people are entrepreneurs. They see the low barriers to entry and the massive successes that the tech industry has turned out. One look through the tech journals and it’s easy get drawn into the success stories. It’s easier to ignore the risks of starting a new company when some entrepreneurs are creating billion dollar companies in just a few years. These factors make coding a desirable skill for entrepreneurs to learn and build a company with. While those are great reasons to learn how to code, I’d like to make the case for a third camp: those who add software development to their existing job and skillset. It’s not just entrepreneurs and software developers who can benefit from coding. 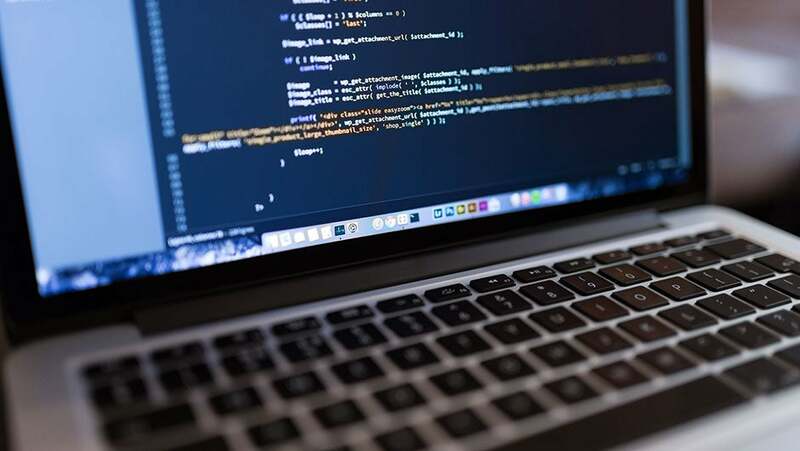 Professionals who work in marketing, accounting, sales, and other departments can use coding to improve their current job performance and career prospects. These are the three benefits to learning this powerful skill. When I was selling cloud computing services at a previous employer, I had a tough challenge. I had a territory with thousands of business customers. There was no way I could talk to them all. I had to figure out which of those customers should get my limited time. It was a tough task. To help our team make decisions, the company provided us with a large spreadsheet every month that contained the previous month’s sales data. Most of our team would spend hours sifting through this data trying to glean value from it. It was a manual process that was challenging and more time consuming than it needed to be. It ate into valuable time that could have been spent with customers. There was one person on our team who did things differently. This person had the skills to write programs and use them to solve problems. Every month, he received the same sales data as the rest of us. Instead of sifting through it manually like everyone else, he wrote a little program to analyze the data for key insights and trends. Each month he’d run the program on the new sales data and would have good intelligence to help him develop a successful sales plan. This guy was among the top performers on our team. I share this as an example of what is possible when you add the skill of software development to another set of skills. You have this new tool that you can use to automate routine tasks. If you’re a knowledge worker, there’s a really good chance that something you do can benefit from automation. Just think through the list of things that you have to do manually as part of your job; which ones could benefit from automation or computer assistance? There has been a lot of buzz lately about the impact that technology is having on the job market. Recent advancements in artificial intelligence and robotics have some experts predicting that machines will be able to perform many jobs better and at a lower cost than humans. There are two sides to this debate. The pessimists think that these advancements will lead to a large portion of the labor force being left without a job. On the other hand, the optimists think that we will be able to innovate our way to a healthy, albeit changed, workforce. While the extent of change and ultimate impact is up for debate, the one thing that everyone agrees on is that change is inevitable. The truth is that machines, whether the robotic kind that work in factories or the virtual ones that exist in our computers and phones, are rapidly expanding the scope of work they can do. What does this mean to you? It means that understanding and being able to work with technology will become increasingly important. By learning how computers work, and how to write programs that control them, you can gain a headstart to potential changes in your profession. Think of it this way: you can either help lead the change, or scramble to catch up after change has happened. You may have heard of a company called Instagram. It is an extremely popular photo sharing application with millions of daily users. They were started in 2010, and by 2012 were bought by Facebook for $1 billion. Kevin Systrom founded instagram after teaching himself how to code while working as a marketer. Here’s part of the Instagram story. Kevin’s story eventually leads to him building Instagram, growing it to millions of users, and then getting acquired by Facebook. I like this story because it shows what you can do by learning to code while working in another job. You can use your experience in a certain field to identify opportunities that aren’t being addressed by incumbents. This is in contrast to those who are formally trained in software development and want to solve a problem in another industry or profession. He or she would have to spend time learning about the challenges and opportunities of that profession before moving forward. They’re at a disadvantage because they don’t have the years of experience often needed to inspire compelling solutions within a given profession. It’s true that coding serves a purpose across many industries and positions. There are several compelling reasons for professionals to learn the skill to help them improve their job performance and career outlook. While learning to code can be intense at times, it is getting easier with the assistance from online schools, programs, and message boards. Thanks to the internet the opportunities are endless. Just a few hours a week over the span of six months can be enough to get started. Once you have even a basic skill level you can start building useful programs to help your position and/or company. Consider checking out the top coding bootcamps in the country. Tobias Abdon is a consultant and author of technology courses. He has a diverse work experience, having spent time as an infrastructure engineer, salesman, software developer, and most recently as a technology consultant helping companies adopt cloud computing services. Tobias is an American living in Asia with his wife and young daughter.